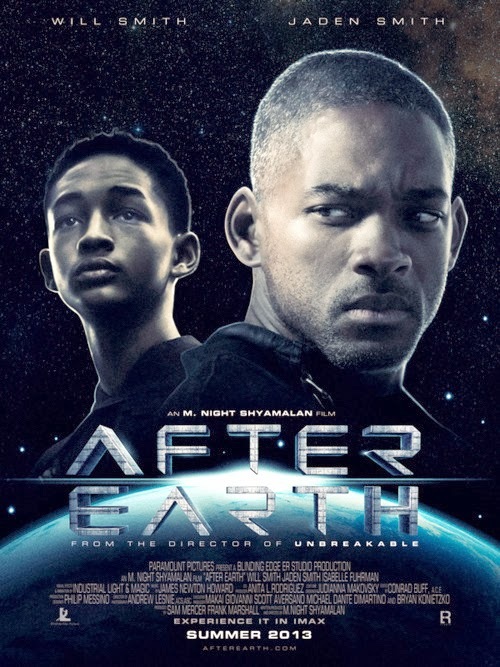 After Earth ~ M. Night Shyamalan has taken a lot of heat in recent years. He's no longer the critics' darling, and a lot of folks have given up on him, but I haven't. Still, I haven't seen his last few efforts in the theaters, waiting for home video to see them. That doesn't mean I still don't enjoy his work. Such was the case with After Earth, which he co-wrote and directed. 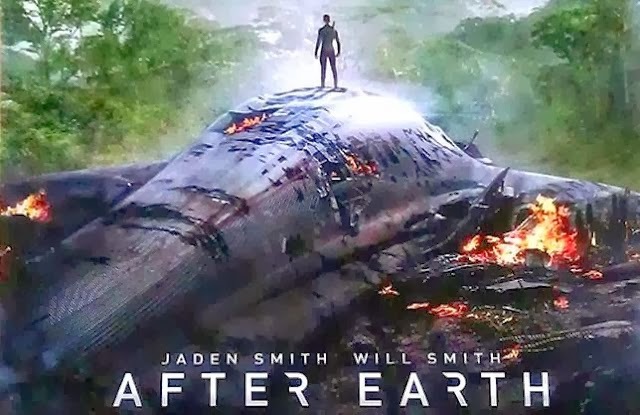 The science fiction flick was better known as a father/son vehicle for Will Smith (it was based on a story by him) and Jaden Smith more than anything else. With no credits at the start of the film, many folks didn't even know it was an M. Night movie. It works well for the Smiths, being a two-man acting tour de force, but honestly it wouldn't have been as good without M. Night's touch, at least in my opinion. One thousand years in the future, a father and son crashland on a mutated, abandoned, and evolved Earth. The father is a genetically altered war hero with no fear who's been crippled and can't move. The son, the only other survivor, has find the beacon to call for help, with the remote guidance of his dad. They have a distant relationship, complicated by a lost sibling and a failure to be a ranger like dad. 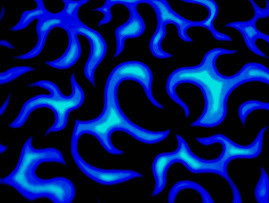 Father and son must see eye to eye in a mission of survival and a race against time. The father and son theme is as strong as the boy becoming a man and facing his fears, but at its core, After Earth is a story of survival. I wonder if it was just the science fiction trappings or M. Night's name that kept it from not only being successful, but also this year's Castaway or Life of Pi. In my opinion, it's another strong film from M. Night, visually stunning, good story, and well worth watching. Check it out. The problem I had with AFTER EARTH? The premise of the movie is that a father/son relationship is dysfunctional because of their lack of spending time together and so they really don't know each other. So what does the movie do when their ship crash lands? The father and son, instead of making the journey together and bonding through facing danger and surviving as a team, the movie separates them. I don't get the logic behind that. My friends and I came up with a drinking game for this movie: have a shot whenever Will Smith bellows at his son: "Take a knee!" lol----You start doing that you pass out by the middle of the movie. Arrow S02 E17: "Birds of Prey"
Arrow S02 E16: "Suicide Squad"
Arrow S02 E15: "The Promise"